Well the therapy did not turn out as I would have liked, but none the less, I still had a couple of therapeutic sessions. I started my first shop hop at Chelmsford, MA. I took the time to walk up the street to look at the various shops. I found an quaint gift shop and managed to find a little something for a friends birthday. I will not be posting a picture just in case she reads my blog. There was also a Herb and Healing shop. I enjoy perusing those type of shops. They offered a Fairy Tarot card reading, which I thought was interesting but not at $45.00 for 15 minutes. I did buy some Frankincense & Myrrh. I just love that smells. I then went straight to Candlelite quilt & Candle shop in Chelmsford, MA. I just noticed that candle is part of their name. Hum.... I did see a few candles but nothing I would call a candle shop. However, they do have lots and lots of fabric. I did buy a few things. 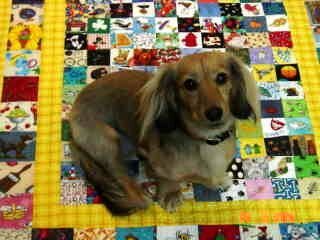 If you notice, there are some charm squares and they are not for me. 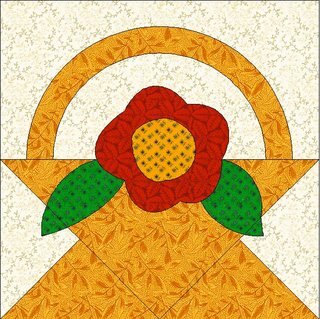 I do not have the "charm square gift of quilting" like Darlene and Wendy or Pam for that matter. No, not moi! As a matter of fact, my creativity does not start flowing unless there's half a yard or more. Afterwards, I treated myself to a nice lunch at the seafood restaurant across the street from the quilt shop called Fishbones. I ordered something my husband doesn't cook, calamari in a light tempura batter. I just love calamari with fresh lemon. Stephen is not a seafood lover. Shrimp and cocktail sauce is the extent of his seafood palette. Moi, I love seafood! After lunch I headed for the Quilted Crow, keeping the best for last. What a disappointment that turned out to be. When I arrived, I noticed that the parking lot was empty! Hum..... walked towards the door and read the sign "Closed Saturday for Memorial Day Weekend". Talk about a major disappointment. Their operating hours are Wednesday to Saturday. I cannot believe they would close on a Saturday. I was bumming. I headed back to my in-laws and stopped at Idylwilde Farms. I love that market! They have anything and everything you could possibly want anytime of the year. It's the type of store that would have blueberries in the dead of winter for $7.99 a half a pint! I picked up some fresh corn on the cob and headed back to my in-laws. After lamenting about my disappointment, my mother in law said there was another shop she remembered in Concord, Massachusetts. She phoned the shop to make sure it was open and off I went on a new adventure to The Quilter's Way. I don't know if I've been oblivious to the price of fabric or just privy to some fairly priced quilt shops, but geezz this store was expensive. Their fabrics were between $9.28 to $10.50 a yard. This does not include their Japanese specialty fabric. I didn't bother pricing those. I did pick up some interesting Batiks that I have not seen anywhere. The Green and black is sweet so I purchased a yard of that. The other is a dark purple with orange. Quite funky! I would have picked up more but at a price tag of $10.48 a yard, well lets just say I was good. Afterward I went to Kimball Farms for an ice cream. I'm an ice cream nut. As a child I used to dream of being locked up in a grocery store so that I could eat their vanilla ice cream. I ordered a small vanilla creamy. This small is what I would call a Jumbo extra large ice cream cone. It was humongous! I couldn't even eat half of it! Gosh, it was the first time in my life that I threw vanilla ice cream away! That about covers my weekend. Tomorrow is another day. I have been invited to a "Par--tee angel food cake and beer at 1:00 p.m. bring a sewing project." I don't know about the menu but hey, I'm game! I have quite a bit of catching up on blog reading to do. Thank you for taking the time to visit! Ohhh... I like that tote. I am going to have to order that. I like the patterns. Is the star pattern a table runner? It looks lovely. Carole, For me just walking into a quilt shop is therapeutic! Touching the fabric, even better. Buying it, Cha-Ching! But finding one CLOSED when you've been planning and waiting, well, big bummer. The batiks look interesting. Haven't yet taken that step but have quilted a few customer quilts made of batiks. I saw a beautiful watercolor quilt in a magazine only a few days ago made of batiks and it was beautiful. All in all, sounds like you did have a therapeutic trip! I love all your goodies - great therapy! I am attending a wedding in Westford, MA in July. I'll need to keep these shops, as well as Kimball Farms in mind! Love that bag. You are having way too much fun lately! Sounds like a fun time, even if one of your stops was closed for the weekend! What a treat to get to have lunch AND ice cream out and come home with fabric and quilting goodies! Angel food cake and beer, though? Well, I guess it could be interesting. Enjoy! How disappointing to miss out on The Quilted Crow - I have only shopped on line there, but it is among my fave's . . . just like calamari. Yummy. A perfect lunch. Before they passed away, my grandparents lived in Chelmsford, Mass.